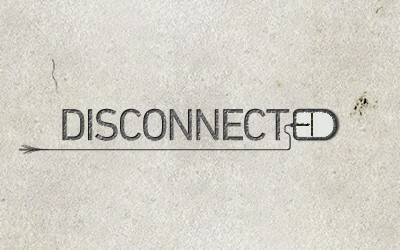 Recently, in one of my company section meeting, our boss shared a stack of pictures/photos (in the Powerpoint slide) revolving around the theme of DISCONNECTED (service). 1. At one of the cinema chain (no name will be mentioned here), long queue being formed to buy movie tickets and beverages. 2. A copy of cheque (with some highlight on the section whereby we need to write the amount in numeric as well as in word forms). So what is the disconnectedness here? For the first photo (the queue at the cinema chain), if you noticed, nowadays most of the cinema chains allow you to buy movie tickets as well as food and beverages at the same counter (actually you have no choice). In this setting, the counter staff need to juggle between dispensing you selected movie ticket(s), getting your coke as well as packing the popcorn of your choice. Hence, don't you think it make perfect sense why the long queue is being formed? If you are frequent movie goers, you will know that a couple of years ago, there are separate queue for buying movie ticket and food and beverages and usually the queue is not that bad. So, why fix something that is not broken? See the disconnect here? As for the second photo (the cheque), I think the disconnect is kind of due to legacy but the point is why do we need to write the cheque amount in both numeric and word forms? To catch the error (for what?)? To double confirm the intended amount to be issued by the cheque issuer? Personally I think it is to counter fraudulent or at least minimize the risk. But is it the only way (now) and at the expense of cheque issuer (for double work)? Whatever is it, nowadays lesser people are issuing cheque but it is still a good point to ponder. I am sure there are many more other disconnectedness examples that we are encountering in every aspect of life but that might not be a bad thing, it just means that there are rooms for improvement. Come and think of it, what is the disconnect in our local equity market that you can think of? - The minimum share price of 20 cents that was introduced not long ago? - Why the IPO can only be subscribed through selected bank issuer's ATM and not all?